Best administrative support talent in Southwest Florida sought by growing community foundation. Excellent organizational skills including event planning, donor stewardship, and passion for philanthropy are necessary. References are required for this part-time position with competitive pay. No phone calls, please. Send cover letter and resume in confidence to [email protected]. When Monika Jennings speaks about her husband Matt, her face lights up. 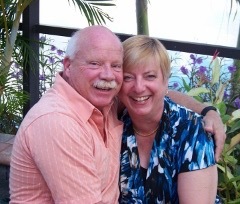 She tells of his intense love for fishing, boating and golfing, and his passion for helping young people. And, as wives do, she treasures the times she and Matt worked and traveled abroad, creating a lifetime of shared memories. When Monika was looking for a distinctive way to honor Matt, she chose to create the Matthew Jennings Memorial Fund at the Cape Coral Community Foundation. The local expertise that the Cape Coral Community Foundation provides is important to Monika. The Cape Coral Community Foundation introduces Monika Jennings to unique programs that combine Matt’s passion for boating, fishing and golfing with his love for kids. It gives Monika great pride to make a difference in the lives of others, all while celebrating her husband. This year, the Matthew Jennings Memorial Fund contributed to grants to the Children's Home Society, the Guardian ad Litem Foundation, Lifeline Family Center, and the National Inventors Hall of Fame. These funds will have an immediate impact on children in our community that will give them stability and unique educational opportunities. We are honored to have Monika Jennings as a Community Philanthropist, partnering with the Cape Coral Community Foundation as her giving partner. Her commitment to Cape Coral will make a difference in Matt’s honor … For Good. For Ever. When a loved one passes away, many families and friends wish to create a lasting legacy in honor of his or her life. Making the decision of which charity or charities should receive donations can be daunting during the time of loss. A memorial endowment at the Cape Coral Community Foundation gives you time to consider how best to represent your loved one’s passions and interests. Photos: Matt Jennings fishing in Ghana, Matt & Monika Jennings. Each weekday morning, the Cape Coral Caring Center is bustling with activity as volunteers and staff assist clients who may be struggling to make ends meet and put food on the table. When the holidays roll around, we all enjoy gathering with family and friends, sharing Thanksgiving and Christmas meals with those we love. For many in our community, finding extra money for those special gatherings can be difficult. The Caring Center steps in and offers over 350 local families support with food baskets. But the Cape Coral Caring Center goes a step further by taking a look at the underlying causes that are leaving families to decide between rent, prescriptions, utilities, or food. A team of dedicated volunteers assess the needs of clients and puts families in touch with organizations and resources that will enable them to get through difficult times and onto a better and more stable path. 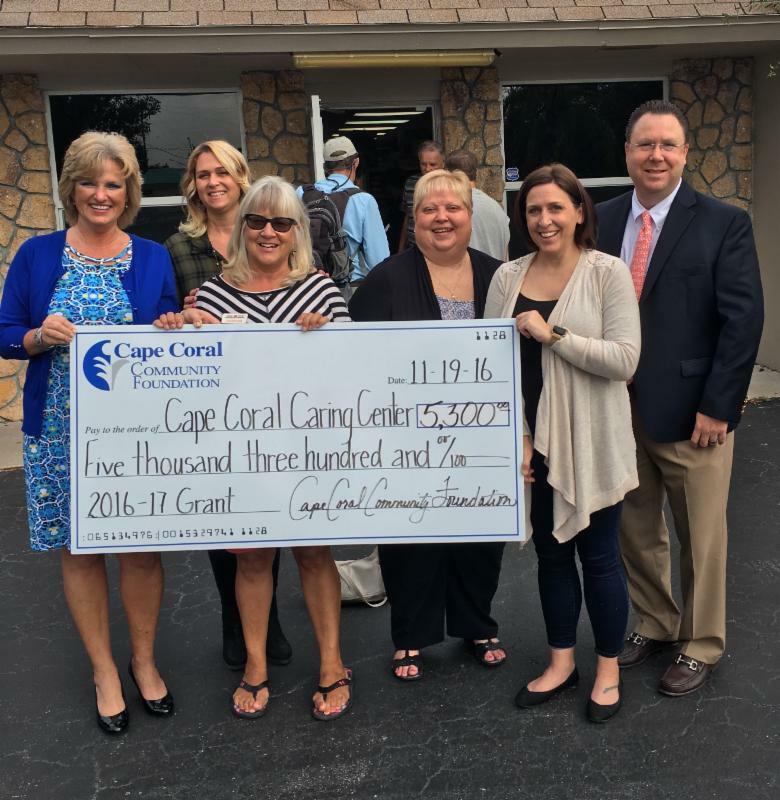 With the support of individuals and organizations through donations, volunteers, and grants, the Cape Coral Caring Center graciously and compassionately builds a stronger community. Visit the Cape Coral Caring Center's website to learn more! The Cape Coral Community Foundation is proud to welcome Alfred Rich to its Board of Directors as a Trustee. Al serves as a Financial Advisor with Wells Fargo Advisors where he specializes in retirement planning. Prior to becoming a financial advisor, he served for a decade in Law Enforcement. Al loves spending quality time with his wife Erica and his two children, Karmen and Garrett. He is a member of Cape Christian Fellowship, the Rotary Club of Cape Coral, United Way of Lee County Allocations Committee, and is an ambassador for the Christian Chamber of Commerce. AmazonSmile is a simple and automatic way for you to support the Cape Coral Community Foundation every time you shop, at no cost to you. When you shop at smile.amazon.com , you’ll enjoy the same shopping experience as Amazon.com, with the added bonus that Amazon will donate a portion of the purchase price to your favorite charitable organization. Multiply your generosity this holiday season! December 7, 2016: Giving Alliance of Women's Annual Christmas Party, 5:30 p.m. - Click here for details! January 12, 2017: Professional Advisors Lunch & Learn with guest speaker Phil Cubeta, 11:30 a.m. at Faith Presbyterian Church. This is a free event; however, we do ask that you email [email protected] to reserve your spot.